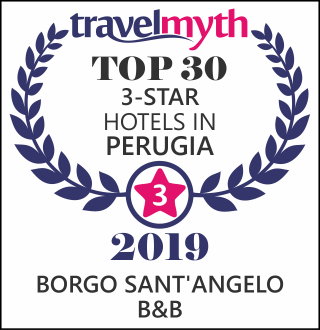 The hotel “Borgo Sant’Angelo” is situated in an ancient building dating back to 1200, in Via Imbriani by Via Santarelli, in the historic centre of the city. You should note that signs lead to Via Imbriani, but since it is a one-way road, this can cause confusion, so it is advised to reach us by following the signs for the “centro storico”. We recommend leaving your car in the covered carpark in Piazza Mazzini in Via Bersaglieri (free on Saturday from 13.00 till 8.00 on Monday and on weekdays from 20:00 to 8:00) and walking to the main square for about 50 metres. Take the lane on the right just before the moveable bollard, you will find the hotel reception and facilities. Alternatively, you can take advantage of other free parking; in this case, we suggest you arrive by car immediately outside the hotel, offload your luggage and continue along Via Imbriani; at the bottom on the left, adjacent to the “Agenzia delle Entrate”, there is a carpark..